Can this man save the City Opera? The long-term future of the New York City Opera is anyone's guess, but indications exist that the hard-pressed opera company, which recently evicted itself from its home at Lincoln Center of four decades, is gearing up for some kind of season, probably starting in the Spring of 2012. An e-mail sent this morning from the NYCO marketing department states that the United States premiere of the opera Prima Donna, the first opera from the pen of singer-songwriter Rufus Wainwright, is planned for next spring. Audiences will have their first chance to hear excerpts from the work in a free concert planned for June 28, 2011, as part of the ongoing River to River Festival. Mr. Wainwright's opera had its world premiere in Manchester, England in 2009. The work was originally planned for the Metropolitan Opera, but a dispute between the composer and Met general manager Peter Gelb led to those plans being scrapped. Mr. Gelb wanted the opera to have an English libretto, but Mr. Wainwright insisted on setting the text in French. City Opera was quick to seize the opportunity to mount Mr. Wainwright's work. The premiere of Prima Donna would mark the City Opera's second offering of an opera by a composer known for their work in another musical field in two years. The company's 2011 spring schedule was dominated by the New York premiere of Séance on a Wet Afternoon by Broadway composer Stephen Schwartz, which earned scathing critical notices and played to half-empty houses. A reliable source has told Superconductor that the City Opera has entered into contract negotiations with the singers for the performances of Prima Donna. The same source also mentioned that the company has picked a performance space for their skeletal 2012 season. No further information is available. According to this source, the City Opera will follow Prima Donna with a new production of Cosí fan tutte, the Mozart/da Ponte comedy centered around partner-swapping. Cosí is not the most popular of Mozart's operas, but at least it has the benefit of familiarity to what's left of City Opera's core audience. Diva withdraws from Met tour, citing Chernobyl concerns. She'll take her candle and go home. Anna Netrebko in a publicity photo for Anna Bolena. Photo © 2011 The Metropolitan Opera. The Metropolitan Opera is on its way to Japan, but Anna Netrebko is not. The Russian diva, scheduled to sing Mimi in the company's touring production of La bohéme has announced her 11th-hour withdrawal from the tour. The decision was announced last night in a New York Times article by Daniel J. Wakin. The article included the following statement from the Met press office: "Ms. Netrebko changed her mind having lived through the tragedy of Chernobyl." You can read the full article here. The decision of Metropolitan Opera general manager Peter Gelb to carry on the Japan tour despite the danger of leaked radiation from the damaged nuclear reactors at Fukushima has been an unpopular one at the world's most famous opera company. The company arrived in Japan last night. Ms. Netrebko is the fifth major artist to cancel on the Met's ill-starred tour of the Orient. So far, casualties include tenors Jonas Kaufman and Joseph Calleja, who both cited concerns about radiation leakage from the damaged nuclear reactors at Fukushima. Olga Borodina cancelled, citing a need to rest her voice. Conductor James Levine, who is taking a five-month sabbatical for health reasons. But the soprano, whose face adorns the Met's current marketing campaign and season ticket drive, is currently the biggest star at the Met. The diva is scheduled to open the season with a new production of Donizetti's Anna Bolena, a Metropolitan Opera premiere. In March, she will sing the title role in a new staging of Manon. Both performances will be included in the Met's schedule of Live in HD broadcasts for next year. The Met's tour includes presentations of La bohéme, Lucia di Lammermoor and the company's new staging of Don Carlo. The cancellations have required some role shuffling. Barbara Frittoli, scheduled to sing Elisabeth in Don Carlo, will switch over to Bohéme. Russian soprano Marina Poplavskaya, who created the role of Elisabeth in this production, will step in to sing the role. She cancelled a Moscow concert appearance to join the Met in Japan. The touring company includes 350 Met stage hands, extras, and musicians. The roster of and an impressive roster of singers: Mariusz Kwiecen, John Relyea, Rene Pape, Dmitri Hvorostovsky and Diana Damrau. Tenors Marcelo Álvarez and Rolando Villazon, returning after a lengthy hiatus due to voice problems, will add firepower to the three productions. Met principal guest conductor Fabio Luisi will take James Levine's place on the podium. Gianandrea Noseda will also conduct. The Met's two-week tour will conclude on June 14 with a concert in Tokyo. The program of that concert is listed as "TBA." As the temperatures rise and power grids strain, it's good to know that there's quality music to be found in New York this summer. Here's the guide to summer music, from the frosty, lofty halls of Lincoln Center to the rolling green lawns of Tanglewood. And be sure to read Superconductor this summer for all the latest in concert reviews, news, opinion and the occasional parody. Plus there's pictures of composers in sunglasses. See, you feel cooler already. Johannes Brahms: modeling the ZZ Top look. The New York Philharmonic are back from a two week European tour, and there are four exciting concert series planned for June. On tap: appearances by resident artist Anne-Sophie Mutter, soprano Deborah Voigt and violinist Gil Shaham. The season ends with four performances of Janacek's charming "nature opera" The Cunning Little Vixen, produced by the same team that mounted last year's staging of Györgi Ligeti's Le grand macabre. In late June and early July, the New York Philharmonic continues its tradition of summertime concerts at Avery Fisher Hall. This year's programs feature the music of Tchaikovsky and John Philip Sousa, conducted by Bramwell Tovey. This year's multi-disciplinary Lincoln Center Festival features a four-concert residency by the Cleveland Orchestra pairing the massive symphonies of Bruckner with the minimalist music of John Adams. Also offered: A Magic Flute, a stripped-down version of the Mozart classic for 11 singers and a piano. Mostly Mozart takes over Lincoln Center in August, with a season including complete concert performances of Don Giovanni (by the Budapest Festival Orchestra) and Handel's Orlando. This year's schedule offers a focus on Stravinsky, Beethoven, and of course, Mozart. The Metropolitan Opera offers opera lovers a chance to cool off with six encore screenings of their Live in HD series. The Met also continues its series of recitals in place of the traditional free operas in the parks. At the end of the summer, the Met again offers a ten-day festival of Live in HD broadcasts, free of charge in Lincoln Center Plaza. Finally, the small (but mighty) New York Grand Opera offers Puccini this summer, with free performances of La bohéme (July 20) and Madama Butterfly (Aug. 3) scheduled at the Band Shell in Central Park. Johann Sebastian "Big Daddy" Bach, with Ray-Bans. Caramoor opens its doors in June with a performance of H.M.S. Pinafore. Also on tap: two eagerly awaited performances of Giaochino Rossini's final opera, William Tell. All performances feature the Orchestra of St. Luke's. The summer schedule also includes appearances by the Emerson String Quartet and a program of songs celebrating the legacy of Gustav Mahler. The Bard Festival has a long tradtion of presenting experimental and rare opera. This year, one of the rarest: the first New York performances of Richard Strauss' penultimate opera, Die Liebe der Danae. Expect to read more about this as the performance approaches on July 29. 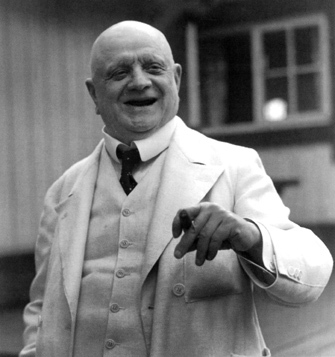 In August, cool off with two weekend of major works by Finnish composer Jean Sibelius. Cooperstown proves it's about more than baseball with four operas at Glimmerglass, the marvelous little opera house on the north shore of Lake Otsego. Full details on the festival are here. At SPAC (the Saratoga Performing Arts Center), the Philadelphia Orchestra plays a two-week summer residency. The newly renamed Opera Saratoga offers a summer schedule featuring Mozart's Cosí fan tutte and Johann Strauss' Die Fledermaus, and there's a chamber music offering too. The historic Tanglewood Festival, the summer residence of the Boston Symphony Orchestra, will not include outgoing BSO music director James Levine. Earlier this year, Mr. Levine announced his decision to step down as music director in Boston. In April, he added that he was taking a five-month hiatus from conducting for health reasons, and would thus have no involvement with Tanglewood for the second year in a row. With James Levine out of the picture, the BSO remains one of America's finest orchestras. There is no there is no festival venue more beautiful than Tanglewood, set on the rolling green hills of the Tappan Estate in the Berkshire Mountains of western Massachusetts. Due to the late nature of the Levine announcement, the final schedule is not available yet, but a full preview will appear on the site once that information is published by the BSO. Parsifal from the Welsh National Opera. The original cover of this Parsifal with a photo of Act I, Scene II. Photo © 1984 EMI Classics/Welsh National Opera. 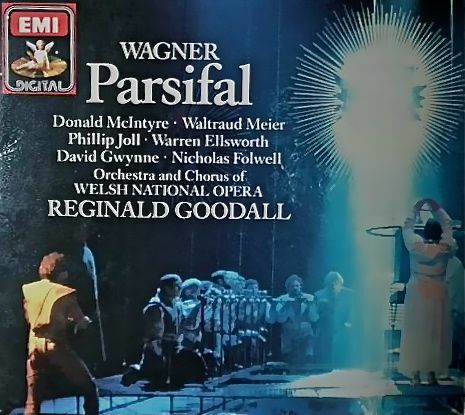 This Parsifal presents the rare opportunity to hear Wagner's final opera as interpreted by the late Sir Reginald Goodall, the most important British Wagnerian of the late 20th century. His English-language performances of The Ring and The Mastersingers at English National Opera sparked renewed interest in the composer in Britain. This performance (recorded at the Welsh National Opera in 1984) offers the rare opportunity to hear this conductor leading Wagner's final opera in the original German. Sir Reginald favored slow tempos, especially in this most mystical of Wagner's operas. The Prelude to Act I flows organically, and clocks in two minutes faster than James Levine's Bayreuth recording. The firestorm of orchestral effects that opens Act II is presented with deliberation, with the notes spread out to lend equal import to the pauses in Wagner's score. 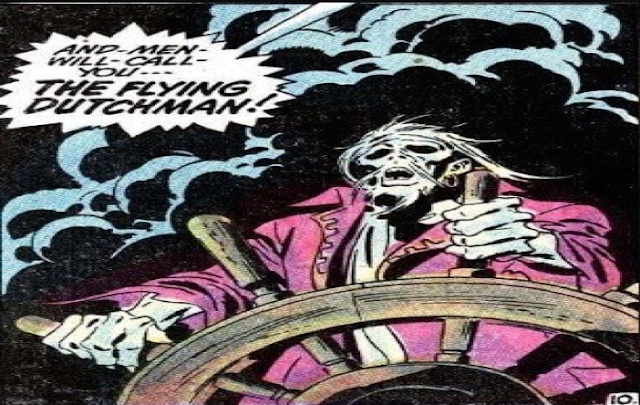 The Act III prelude is slow too, but that's to be expected. This is a sensuous Parsifal that pulls the listener deeply into the opera. Sir Reginald recreates shimmering orchestral textures in the forest scenes of Act I and III. You can hear the lap of water in Amfortas' bath, and the shuffle of shadows and sunlight through the woods surrounding Montsalvat. In Act II, the (very slow) waltz of the Flower Maidens drips with seduction. The march of the Grail knights, with the Welsh choristers bringing weight to their choral parts is impressive in the first and third acts. When this recording was made, Donald McIntyre was the biggest star in the cast. He sings Gurnemanz, the exceptionally long-winded knight of the Holy Grail. Since this character has about 30 minutes of expository music to sing (at a very slow tempo) he'd better have a nice voice. The New Zealand-born bass-baritone and Bayreuth veteran meets this requirement. He is both compassionate and curmudgeonly, injecting a real note of awe into his account of the Grail, the Spear, and the early days of the brotherhood. It is fascinating to hear Waltraud Meier's early portrayal of Kundry, a role that she would come to own in the course of an international career. Kundry is both victim and villain, an accursed wanderer who seeks redemption but also works against the Grail knights as an agent of the evil magician Klingsor. Ms. Meier is more subdued here than on later recordings, curling her voice tenderly around "Ich sah das kind" in the second act and turning viperish when she tries and fails to seduce Parsifal. The rest of the cast is adequate. Warren Ellsworth is an enigmatic Parsifal, who does not sound particularly enlightened following his encounter with Kundry. The role is clearly too much for him, and his top notes sound threadbare at the end of the opera. Philip Joll has an irritating tendency to rrroll his r's as Amfortas, but brings appropriate pathos to the suffering Grail king. Nicholas Folwell is a snarling Klingsor. David Gwynne makes the most of his brief appearance as Titurel, sounding appropriately dessicated. This recording was made at the height of the CD boom, and its reappearance on four discs (packaged with a fifth CD-rom containing libretto, translation, and texts) is a welcome one. However, it should be noted that a remastering error exists on the first disc, with the last few seconds of "Der reiner tor" snipped off by some over-eager engineer. Hopefully, this problem will be corrected on future pressings. Deborah Voigt locks and loads. Schedule Note: Cooperstown is home to the National Baseball Hall of Fame and Museum. Opera-goers are advised to avoid July 22-25--it's almost impossible to get a hotel room. All operas are presented at the Alice Busch Opera House, at the picturesque north end of Lake Otsego in Cooperstown. The season opens and closes with this perennial favorite: the story of a Gypsy cigarette roller who winds up on the wrong side of the law, and in a doomed relationship with the soldier Don José. And you thought smoking would kill you. Alexandra Deshorties sings the title role as the spurned Greek princess who lends new meaning to the term "hellish vengeance." Jason Collins sings the role of Jason (fittingly enough), the captain of the Argonauts who draws her wrath. A double bill of new one-act operas. Blizzard, with a libretto by Tony Kushner (Angels in America) is based on an incident from the life of Eugene O'Neill. Evening (with book by Mark Campbell) draws its inspiration from the paintings of Edward Hopper. Deborah Voigt trades her Valkyrie wings for a Stetson and a six-shooter. The diva takes aim as Annie Oakley in Irving Berlin's beloved musical. Rodney Gilfrey is Frank Butler, but anything he can do, she can do better. m=matinee performance starting at 1:30pm. Siegfried (Ian Storey) and Brunnhilde (Nina Stemme) in San Francisco Opera's new Götterdämmerung. 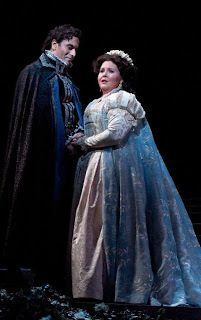 Photo by Karin Cooper © 2011 San Francisco Opera. The venerable San Francisco Opera kicked off the 2011 season today with the debut of Siegfried, the penultimate opera of Wagner's Ring Cycle. The cast of the eagerly anticipated San Francisco Ring includes Ian Storey as Siegfried and the spectacular Nina Stemme as Brunnhilde. Mark Delevan sings the role of Wotan. Donald Runnicles conducts. The production, by Francesca Zambello, is a revival of the "American Ring" originally created for the Washington National Opera. However, this run of the Ring includes the world premiere of her version of Götterdämmerung, which (for budgetary reasons) was never staged in D.C. Götterdämmerung premieres on June 5. In related news, Ms. Zambello has accepted the post of general manager with the D.C. opera company. The director and producer will split her time between the Kennedy Center and her duties at the Glimmerglass Opera in Cooperstown, NY. The company will then perform three complete cycles of Wagner's Ring, starting on June 14 with Das Rheingold, and ending with the last Götterdämmerung on July 3. More information, and tickets for the upcoming productions (if any are left) can be found on the company's official Ring site. On Saturday night at Verizon Hall, the Philadelphia Orchestra concluded their tumultuous 2010-2011 season with Berlioz' The Damnation of Faust, the "dramatic legend" by Hector Berlioz that straddles the fine line between oratorio and full-blown opera. Damnation comes at the end of a season that has seen this proud organization's board file for bankruptcy, a bizarre move that may damage their reputation and pride of place as one of America's premiere ensembles. Financial difficulties aside, the famous "Philadelphia Sound" was present throughout this performance, from the opening string fugue that begins the piece, through the thundering Rákóczy March that ends Part I. Berlioz stretched his source material here, bringing Faust to the plains of Hungary for no other reason than to insert this famous melody into his piece. Under the baton of chief conductor Charles Dutoit, the Philadelphians showed what a good idea this was. The star of the evening was mezzo-soprano Susan Graham as Marguerite, the object of Faust's romantic obsession who comes dangerously close to damnation herself. Ms. Graham entered Verizon Hall halfway through the performance, and demonstrated total engagement and familiarity with this complex material. She brought raw emotion and smooth, rich tone to her two arias: the Song of the King of Thule and the famous "D'amour l'ardente flamme" that marks her exit. Paul Groves was an impressive, serious presence as the doomed Faust wandering, and ultimately doomed Faust. His opening "Le viel hiver" had the right note of restless wandering. The Study scene was marked by introspection, which turned to abundant energy with the arrival of Méphistopheles. The love duet with Ms. Graham benefited from their time opposite each other in Gluck's Iphégenie en Tauride at the Metropolitan Opera. They shared real chemistry, acting together despite the oratorio setting and making the performance more than just a concert. David Wilson-Johnson was an appropriately wicked Mephistopheles. He swaggered through his opening duet with Faust and blustered appropriately in the Song of the Flea. He displayed cool command over his will o'the wisps in the scene by the banks of the Elbe, singing over the sleeping Faust with the demonic equivalent of affection. Throughout, Mr. Wilson-Johnson was an expressive presence, using his face and eyes to convey Mephistopheles' intent as he led Faust down the long road to hell. The final gallop and pandemonium was his triumphant moment, and he sunk down, spent. Mr. Dutoit displayed great energy on the podium, using baton, fingers, eyebrows and elbows to command the great choral, orchestral and vocal forces required for Berlioz' vision. He alternated between the musicians in front of him, to the trio of soloists, to the choristers arrayed above the orchestra in the so-called "Conductor's Circle" of Verizon Hall. He conducted this score in a brusque way, making the rhythms snap and the flames of Hell leap in the tricky Pandemonium chorus. The Philadelphia Singers Chorale, filling the roles of soldiers, demons, seraphim and townspeople armed with torches, sang with admirable precision. in Act IV of Verdi's Ernani at the Met. Read Part I: Buying Tickets. Although some of us old-fashioned types like seeing their operas in the big house at Lincoln Center, the Met has done very well with its Live in HD broadcasts. The schedule for the 2011-2012 season has been announced, and is presented below for your planning pleasure. This year' offerings include the second half of Wagner's Ring, along with operatic appearances by Anna Netrebko, Natalie Dessay, and Mahatma Gandhi. (Well, sort of.) So getcha popcorn ready. What's it about? Anna loses her head to King Henry VIII in the Italian version of The Tudors. Why see it? Anna Netrebko sings the title role. What's it about? The greatest lover in history makes a fatal dinner invitation. Why see it? To see if James Levine conducts after a five-month hiatus. What's it about? The boisterous exploits of a sword-swinging doofus. Part III of The Ring. Why see it? Fafner, (the dragon in Act II) is bound to be cooler than the dragon in Das Rheingold. What's it about? Gandhi: The Early Years. Why see it? To see if Mr. Glass finally allows subtitles for his opera. The libretto is in Sanskrit. And no, that wasn't a joke. What's it about? Intrigue and jealousy in medieval Lombardy. With great singing. Why see it? Because it stars the fabulous Renée Fleming. What's it about? Goethe's morality play reimagined as a 20th century parable of the atomic bomb. Why see it? To determine if the bomb is more than just a metaphor. Jan. 21, 2012:The Enchanted Island by Handel, Vivaldi, and some other people. What's it about? The Met attempts a baroque pastiche. The plot? Episode I of Shakespeare's The Tempest. Why see it? Because pairing David Daniels with Joyce DiDonato can save anything. What's it about? Briefly: Boy loves girl. Boy forgets girl. Girl has boy killed. World ends. Part IV of the Ring. Why see it? Because the Reverend Harold Camping has nothing on Richard Wagner's end-of-the-world scenario. What's it about? Verdi's well-traveled tale of a gentleman bandit with a weakness for horn calls. Why see it? A star is born: Angela Meade comes into her own in the role of Elvira. What's it about? A good girl goes very bad, goes to New Orleans, and dies. Why see it? The same reason to see Anna Bolena: La Netrebko is singing the title role. What's it about? A good girl gone bad finds true love, moves back to Paris, and dies. Why see it? Natalie Dessay takes her turn in the the Willy Decker "red dress" production. Opera has its share of "sequels". The most famous is Mozart's The Marriage of Figaro, which follows The Barber of Seville. Gluck followed Iphegenia in Aulis with the Greek princess' adventures in Tauris. Back for more: Giuseppe di Luca as Rigoletto. Richard Strauss followed the events of the Trojan War with The Egyptian Helen. And Wagner, not satisfied with his libretto for Siegfried's Death wrote three prequels to it, which eventually became The Ring of the Nibelung. "I can't fix the budget, Alice. I'm just a flamingo." Illustration from Alice in Wonderland by John Tenniel. What would become of you?" Just when you thought things couldn't get any weirder for the once-proud New York City Opera, an announcement today has the opera company falling further down a metaphorical rabbit hole of their own making. Today, the American Guild of Musical Artists (AGMA) which is the musician's union for opera, dance and concert musicians (in other words: the union of the New York City Opera's singers, choristers, and production staff) filed unfair labor practices against City Opera. 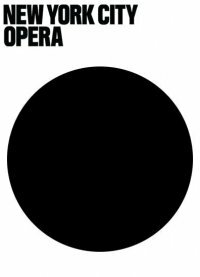 The charges accuse the opera company of bargaining with the artists in bad faith as the deadline to renew their contract came and went. City Opera is coming off a disastrous 2010-2011 season which saw the once proud company presenting obscure operas (A Quiet Place, Intermezzo, Séance on a Wet Afternoon) to 40% capacity houses. Pluto and the Battle of The Planets. Pluto, now a minor planet. Following the recent Philadelphia Orchestra performance of Holst's The Planets, I've been investigating Pluto, the Renewer, the six-minute "sequel" written by composer Colin Matthews in 2000. The (former) planet Pluto was discovered in 1930 by astronomer Clyde Tombaugh. It turned out to be a small, rocky, ice-covered world that occasionally traded orbits with Neptune. Further discoveries, including that of the (larger) scattered disc object Eris in 2005 led to the 2006 decision of the International Astronomical Union, demoting Pluto to the status of "minor planet." Holst completed The Planets in 1916. Although he later heard of Tombaugh's discovery, he was content with a seven-movement suite depicting Mars, Venus, Mercury, Earth, Saturn, Uranus and Neptune. His exploration of the outer planets becomes progressively weirder. Highlights include the proto-doom-metal march of Saturn, the Bringer of Old Age and the shimmering wordless chorus of Neptune, The Mystic..
Colin Matthews is an acclaimed composer and authority on Holst's music. Pluto was commissioned by the Hallé Orchestra in 2000 as a new eighth moement. The piece is designed to be played directly after the fade-out that ends Neptune, the Mystic at the end of Holst's suite. It recapitultes many elements from earlier in The Planets, attempting to "sum up" Holst's music, using his orchestral technique while putting a more modern spin on these musical ideas. A first listen immediately reveals scintillating glockenspiel parts, the rapid-fire scales of Mercury, the 'cello run up that starts Jupiter and the low, menacing growls of Saturn. The music then thunders into gear with a clattering timpani part, roaring tuba and lighter brass, and a cosmic storm of ostinato rhythms that recall the heavier pages of Mars..
Footage of Sir Simon Rattle and the Berlin Philharmonic playing Pluto for your listening pleasure. Attempts to finish or improve other composer's unfinished compositions rarely succeed. By attempting to summarize The Planets with a grand finale, Mr. Matthews undermined Holst's intent of a cosmic fade-out into the void of space. With the relegation of Pluto to the ranks of minor planets, this piece becomes an interesting historical footnote. Don't Panic: It's an Opera! Just do what the sign says. Or more to the point, don't! In honor of the Tenth Annual Towel Day and the work of Mr. Douglas Adams, we are proud to present a completely unlicensed setting of Douglas Adams' The Hitchhiker's Guide to the Galaxy as an opera in three acts. 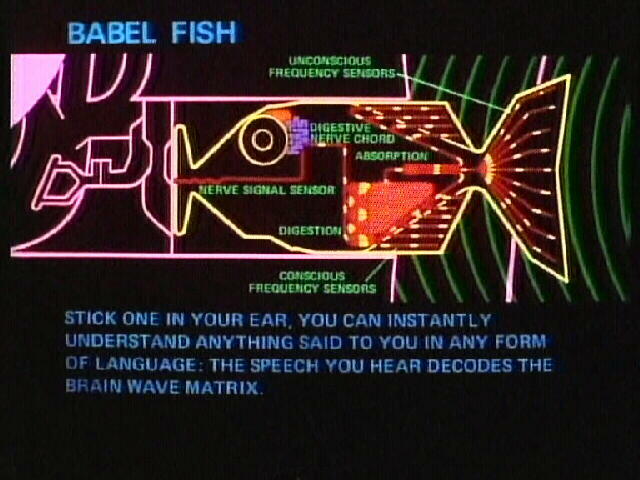 Why not set Hitchhiker's Guide as an opera? It's already been a videogame, a radio series, a BBC mini-series, a book, a movie, and a towel. Zaphod Beeblebrox, the three-armed, two-headed President of the Galaxy: Mezzo-soprano (trouser part) and Counter-tenor. Slartibartfast, Not important, but a tenor. Scene one: A small, unremarkable house in the English countryside. Hoopy froods know where their towels are. Mine is in the bathroom. Ford and Arthur enter the pub. A drinking chorus ("Six pints of bitter, the world's about to end") is sung, interrupted when everything goes bright white. There is a horrible, ghastly silence. Curtain. Zaphod explains, in a patter duet featuring both of his heads, the answer to Life, the Universe and Everything. ("They say it starts with forty".) The Heart of Gold flies to Magrathea, and is nearly destroyed by the planetary defense system, until the two missiles turn into a whale and a bowl of petunias. The chorus assembles across the front of the stage beneath a projection of the two falling objects, singing the choral fugue: ("Hey, what's this?/Oh no, not again.") The whale lands on the stage with a resounding SPLAT!. There is a horrible, ghastly silence. Scene one: A gray, wind-swept place with two caves. Zaphod serenades the twin suns of Magrathea: ("O Soulianis and Rahm!") and leads everyone (except Arthur and Marvin) into a cave. Arthur is freezing on the surface of Magrathea when he is confronted by Slartibartfast. (Aria: "My name isn't important.") They exit. Arthur finds his traveling companions, captured by Benji Mouse and Franki Mouse, the two programmers of Deep Thought. (Quintet: "How many roads must a man walk down?") as the characters grapple with the meaning of existence. The mice exit. A squadron of Vogons, led by Jeltz march onstage and everyone flees. The Vogons sing a choral reprise of "O freddled gruntbuggly". At this point, the audience dies of shock and horror, and the opera ends as the performance venue is demolished by a fleet of yellow bulldozers. with mixed (that is, ugly) results. Growing up in New York, my childhood was defined by two New York organizations: the New York City Opera and the New York Mets. As I write this, both organizations face disaster. The City Opera is homeless, having announced a move out of the former New York State Theater. The opera company has frittered its endowment in recent years. The Mets, with the third-highest payroll in baseball for the last three seasons, are operating with an annual deficit of $70 million. And they say there's no parallel between opera and sports. According to team owner Fred Wilpon (in a recent Sports Illustrated article) $21 million of the club's $142 million dollar payroll is spent on former Mets players signed to long-term contracts, including the much-loathed Bobby Bonilla and pitcher Bret Saberhagen. In 2007 the City Opera board hired Belgian impresario Gerard Mortier as its new general manager to replace the outgoing Paul Kellogg. Mr. Mortier never produced an opera in New York City, but was paid handsomely for his trouble. Image © New York City Opera. Mr. Steel chose to experiment on his rapidly shrinking audience, presenting operas that few people came to see in 2011. (I saw them, but as the writer of this blog, that's sort of my job.) Bad marketing, ugly poster art, and a tin ear for what New York audiences want combined to create a perfect disaster of a season, capped by the bomb that was Stephen Schwartz' first opera, Séance on a Wet Afternoon. The Mets also have trouble at the box office. Their spiffy new ballpark, CitiField, is a hi-tech, plush ghost town, with yawning sections of over-priced green seats that are just begging to be tarped off for the sake of the television cameras. But that's nothing compared to the Mets' biggest problem. 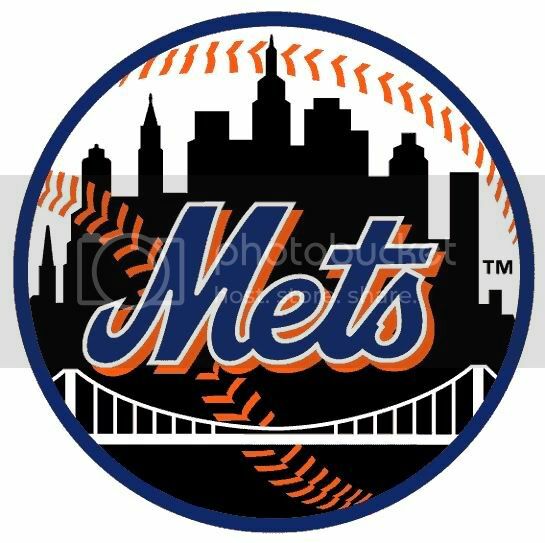 Although the team has a secure (if empty) home at CitiField, the Wilpons and co-owner Saul Katz are being sued by Irving H. Picard, a victim of Wall Street fraud-meister Bernie Madoff. Mr. Picard wants $700 million to recoup losses from Mr. Madoff, who is currently jailed for operating a multimillion-dollar Ponzi scheme disguised as an investment fund. The Madoff fingerprints have appeared on the Mets finances, including the monies paid out the Mets' ballplayers. The Wilpons, desperate for cash to meet their $142 million payroll, are willing to sell as much as 49% of the team to parties unknown. Since becoming Major League Baseball's first expansion team in 1962, the Mets have labored in the shadow of the cross-town New York Yankees and their 27 world championships. Since their founding in 1947, the City Opera has lived in the shadow of their former neighbors at Lincoln Center, the Metropolitan Opera. But while the Metropolitan Opera has a 2011-2012 season scheduled, the NYCO has no season announcement yet. No money is coming in from ticket sales or subscriptions to operas that may not exist at a venue that remains unannounced. Nobody wants to make the donations that are the lifeblood of performing arts in this country. Currently, both organizations face the abyss. City Opera is down to just $5 million of what was once an eight-figure endowment fund. Seeking to save on an annual rent of $4.5 million, the company has moved out of Lincoln Center, destination unknown. As of this writing, no operas scheduled yet for next year, although general manager George Steel has promised that a slate of "five operas" is coming soon. Whoopee. As for the Mets? Well, I'm going to baseball in the Bronx this year. Wolfie's ready for summer. Are you? Photo doctoring by the Borustan Istanbul Philharmonic Orchestra. The sun is out, the temperatures are slowly going up, and it's time to start talking about summer festivals. We've already offered a profile of the upcoming music offerings at the Lincoln Center Festival, so Mostly Mozart is next. Founded in 1966 as "Midsummer Serenades", this most venerable of New York's summer music festivals is a central component of Lincoln Center's summer programming, not to mention a way to get into a nice air-conditioned concert hall for a few hours and hear some really good music. Mostly Mozart starts in August and runs for the entire month. There are concerts every week in Avery Fisher Hall, and some are at Alice Tully Hall across the street. If you get there early, some concerts are paired with "opening" piano recitals. Most programs feature the Mostly Mozart Festival Orchestra under the baton of Louis Langree. 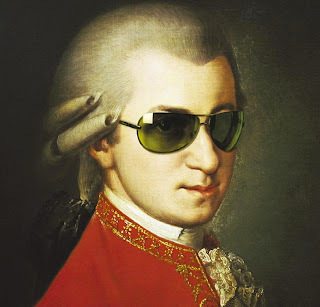 Igor Stravinsky: Where does Mozart get those wonderful glasses? Don Giovanni: Mozart's most dramatic comedy (or is that comic tragedy) returns to Lincoln Center. Two concert performances at Avery Fisher Hall. Featuring the Budapest Festival Orchestra, led by Hungarian maestro Ivan Fischer. Stravinsky Too: There are a number of programs dedicated to the great Russian expatriate and composer of The Rite of Spring. 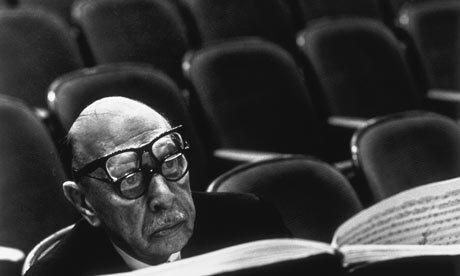 Stravinsky on Film explores the Russian composer's celluloid legacy. Alice Tully Hall also hosts an all-Stravinsky program featuring the International Contemporary Ensemble. Christine Brewer stars in the aforementioned Don Giovanni. She then joins the Mostly Mozart Festival Orchestra for an all-Beethoven program featuring an aria from the composer's lone opera, Fidelio. Juha Pohjonen joins the orchestra for Mozart's A Major concerto, coupled with Beethoven's Fourth Symphony under the baton of Jonathan Nott. Nicholas McGegan brings the Philharmonia Baroque Ensemble to town for a concert performance of Handel's opera Orlando at Alice Tully Hall. Nelson Friere plays Beethoven's Fourth Piano Concerto in a program featuring no Mozart. The festival concludes with Mozart's unfinished Requiem at the end of August, paired (appropriately) with Schubert's "Unfinished" Symphony. For more information and to order tickets for this summer's festival, visit MostlyMozart.org. 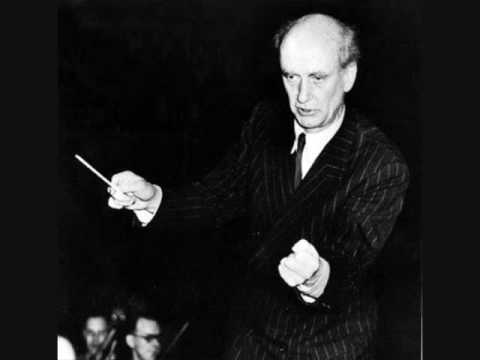 The conductor Wilhelm Furtwängler, in action. The last decade has seen a slew of bargain-box reissues of Wagner's Ring Cycle. The latest of these, issued by EMI on May 17th in North America to (hopefully) coincide with the composer's 198th birthday, is Wilhelm Furtwängler's second recording of the four operas, made for Italian radio in 1953. Furtwängler is celebrating his 125th birthday this year. One of the most controversial, and important Wagner interpreters of the 20th century, he was a born Romantic. Specializing in Wagner, Bruckner and Beethoven, he conducted with an organic feel, letting tempos fluctuate in order to mine greater meanings and depths of expression. On these discs, new and exciting details of the score come forth. As expected, the orchestra stretches and flexes under his baton, taking the music in fascinating new directions. Examples of this idiosyncratic approach include an ultra-slow version of the charging Act III prelude from Siegfried, the rapid Rhine Journey, and the devastating heaviness brought out in Hagen's Watch.. This is always one of the most difficult parts of Götterdämmerung, and the maestro does the right thing: speeding up with anticipation as the scene changes back to Brunnhilde's rock, and then pausing, seeming to stop breathing as the next scene starts. Big climactic moments, like the Entrance of the Gods, the Magic Fire scene and of course, the Immolation are heard with a new freshness that makes this set hold up on repeated listens. The orchestra plays beyond their abilities, as the maestro makes his Italian band sound like Bayreuth's finest. And yes, it's in mono sound, but the voices sound fresh and immediate, with details leaping out of the orchestra. There is an audience--they applaud enthusiastically at the end of each act--but they make minimal noise otherwise. The singing is very good. Ludwig Suthaus recorded Tristan with Furtwängler in 1952, and that experience pays off in his Siegfried. Wolfgang Windgassen sings Siegmund here, a rarity for the tenor who preferred the role of Siegfried. (He also sings Loge in Das Rheingold.) Soprano Martha Mödl was recorded here at the height of her powers. brings all of her resources to Brünnhilde, creating a compelling portrait over three operas. These discs also preserve Ferdinand Frantz' memorable portrayal as Wotan, the deal-breaking god of Das Rheingold, the tormented father in Die Walküre and the sad and lonely Wanderer of Siegfried. This is a towering performance. Gottlob Frick is a brutish Hunding. Josef Griendl a memorable, venomous Hagen. And in Siegfried, tenor Julius Patzak shows that the role of Mime can be sung, not screeched. Wagner lovers and Furtwängler aficionados probably own this set already. But if you've only heard of the conductor, or only heard whispers of his legendary podium prowess, this is worth checking out. Sure, the packaging is ugly and somewhat unimaginative. There's no libretto included. But for top-notch Wagner at about $4 per disc, the price is certainly right. The Vernon C. Bain Correctional Center, currently moored by Riker's Island. Friday evening's announcement by City Opera general manager George Steel that the company would depart Lincoln Center caused huge waves in the opera community. Mr. Steel stated that the company would be moving to a new performance space, producing two large opera productions and three small-scale works. But where they're going is anyone's guess. Here are some helpful Superconductor suggestions. Pros: Mobile venue, enabling the company to perform in all five boroughs. Modest seating capacity for opera. Easy to house singers and choristers if needed. Guaranteed audience. Cons: There's already a floating opera house in Bregenz, Austria. Captive audience may not like opera. Where is it? The recently renovated former home of the City Opera from 1947 until its move to Lincoln Center is on West 55th St. Still used for ballet and theater performances. Pros: They say you can't go home again. Cons: It's like moving back in with your parents. A computer rendering of the Barclays Center, under construction in downtown Brooklyn. © SHoP Architects. Where is it? The new basketball arena being built on what's left of downtown Brooklyn. Pros: Good access to subway, LIRR. Cons: Angry Brooklynites. No parking. But they should have thought of this before building the arena, no? Where is it? Subterranean concert venue in Times Square. Pros: Nice acoustics, lounge ambience, escalators, nearby dining. Cons: Snarky articles in certain newspapers about opera becoming an "underground" art form. Where is it? 30 Lafayette Avenue in Brooklyn. Pros: Classic opera house where Enrico Caruso sang his last performance. Cons: Too logical a choice. An aerial view of the Owls Head treatment plant. Where is it? On the waterfront in Bay Ridge, Brooklyn. Pros: Spacious, wide waterfront location. Park nearby. Spectacular views of Staten Island and New Jersey. Convenient to the Belt Parkway. Cons: Should speak for themselves. Where is it? 2124 Broadway on the Upper West Side. Pros: Good acoustics and old-fashioned theater ambiance. Cons: Cirque de Soleil's Banana Shpeel is a tough act to follow. Plus there's a risk of performances of La bohéme being picketed by angry Allman Brothers fans. Pros: Short commute as it's next to the former New York State Theater. Cons: Located (quite literally) in the shadow of the Met. And didn't they say they were leaving Lincoln Center? Pros: Good on-site cuisine. Small space, ideal for intimate operas. Has its own speak-easy (complete with hidden entrance) for board meetings and public functions. Cons: It smells like hot dogs. or what it would look like if it had opened as the Xanadu Mall. Where is it? Unfinished boondoggle of a sports and entertainment complex located in the Meadowlands next to the new football stadium. Pros: Large, flexible venue. Caters to opera fans who like to tailgate before the performance. Easy to add a gift shop. Has its own ski slope for future revivals of Intermezzo. Cons: It's in frickin' New Jersey! And it's not opening until 2013. Paulo Szot and Debbie Voigt at Carnegie Hall. Photo by Erin Baiano © 2011. Deborah Voigt Sings Broadway at Carnegie Hall. "It's good to be back among the mortals, and on a stage that isn't moving." So said soprano Deborah Voigt as she opened "Something Wonderful," a benefit for the Collegiate Chorale at Carnegie Hall on Thursday night. Ms. Voigt's relief was audible at this concert, which also featured baritone Paulo Szot. The two Metropolitan Opera veterans led the audience on a 90-minute excursion through Broadway songbooks, backed by the American Symphony Orchestra and the 180 voices of the Chorale. Although Ms. Voigt regularly powers her way over the giant orchestras of Wagner and Strauss without electronic help, she sang much of this concert with help of a microphone. The opera star seemed uncomfortable with the amplification for much of the evening. A voice of her power and magnitude does not need improvement, and she seemed to have difficulty adjusting to the lower volume levels required. From the opener ("It's a Grand Night for Singing") Ms. Voigt chose not to announce the program, surprising the audience with numbers from Meredith Wilson's The Music Man, Jerome Kern's Sweet Adeline and the little-heard Rodgers and Hammerstein collaboration Allegro. A number from Mame (accompanied by an anecdote of the diva's first high school stage appearance in the role of the secretary Ms. Gooch) was an early highlight. "Something Wonderful" floated beautifully, and Ms. Voigt seemed about to abandon the mic. "Can't Stop Loving That Man of Mine" (arranged for jazz quartet) was more problematic. A brief halt came in the middle, and Ms. Voigt was heard to gather herself with a murmured "hojotoho" before continuing. Mr Szot made hearty contributions throughout the evening, and his obvious comfort level with the Broadway songs seemed to cheer and inspire Ms. Voigt. They were at their best in the excerpts from Annie Get Yor Gun, the Irving Berlin show that Ms. Voigt is scheduled to sing this summer at Glimmerglass. A rip-roaring performance of the title song from Oklahoma! brought out the best in all the singers--including the choristers. The finest part of the 90-minute set was its conclusion, with soaring performances from "a show they'll never do onstage", Porgy & Bess. her best in the excerpts from Porgy & Bess.. It was fascinating to hear Ms. Voigt soar through "My Man's Gone Now", using her experience in the operas of Richard Strauss to bring out the long melodic lines in Gershwin's music. The encores featured two tributes to Herbert von Karajan's 1960 recording of Die Fledermaus, with Ms. Voigt emulating another Brunnhilde, Birgit Nilsson, in "I Could Have Danced All Night." Mr. Szot then returned, and the two Met stars did the opera version of "Anything You Can Do, I Can Do Better," complete with a full-out, effortless Valkyrie battle cry at the peak of "I can sing higher." Photo © IMG Artists from the artist's website. I went to my first opera at City Opera in 1983, the year a strike nearly sunk that company three decades ago. It was Puccini's Turandot. I was 9 years old, and I went with my parents. They bought me a chocolate ice cream and a libretto. The three ministers, Ping, Pang and Pong, and the three riddles fascinated my young brain. The music was good too. That year, Mom and Dad took me to three more operas. La bohéme.. Candide. Carmen. I still have the librettos somewhere. And I was hooked. The New York State Theater was part of my childhood. And teenage years. And adulthood. And career. Well, you get the idea. I "grew up" in that theater. Here's some great performances I attended. Y'know--if the company thought about reviving some of these productions, I'll bet people would go see them and have a nice time. New York City Opera to leave Lincoln Center. The former New York State Theater, no longer home to the New York City Opera. Photo by David Shankbone © Wikimedia Commons. The New York City Opera has revealed that it will leave its home at Lincoln Center and play next season in a variety of venues around the city, according to a story by Daniel J. Wakin in the New York Times. At Bayreuth, meeting the end of the world requires ridonkulous pants. Deborah Polaski as Brünnhilde, Wolfgang Schmidt as Siegfried in Götterdämmerung. Photo © 1998 Bayreuth Festival/Deutsche Grammophon. I n case you've been keeping up with the media (aside from Superconductor) the world is supposed to end tomorrow evening in a giant earthquake--or something. According to Bible number-cruncher Harold Camping, a bunch of people are going to be taken from Earth in the Rapture. The rest of us will enjoy listening to really good music without hearing those people's cell phones ring during piano recitals. Anyway, here's ten works to check out as we all prepare to check out. We might as well start off this soundtrack to the apocalpyse with the final opera from Wagner's Ring cycle, which ends with a Germanic vision of the end of the world. Something about a cursed ring thrown into a river, a collapsing castle and 24 giant moving planks on a computer-controlled system just spells doomsday. The Solti recording from 1962 (made in Vienna with Birgit Nilsson and Wolfgang Windgassen) has been the benchmark for half a century. Anton Bruckner's final completed symphony consists of huge slab-like chords of brass and strings, piled in an ever-reaching stairway to heaven as the composer grapples with the infinite. He spent so much time grappling with the Eighth that he never finished the even more ambitious Ninth--a lesson for us all. Tremendous orchestral and choral forces are required for Hector Berlioz' setting of the Latin Mass of the Dead. The Tuba Mirum (Last Trumpet) is announced by four offstage brass bands and twelve thundering kettledrums-definitely the soundtrack to some kind of 19th century apocalypse. The message: "God is coming! Look busy!" Colin Davis made two recordings: the first one is the one on my shelf. 7) Beethoven: Symphony No. 3 "Eroica"
The best funeral march ever written stands at the center of Beethoven's first long-form symphony. There are two dozen recordings in the standard catalogue, and another twenty or so that have been deleted by record companies preparing for the end of the world, or their industry as they know it. I like Claudio Abbado's second live recording with the Berlin forces. I thought about the Requiem here but a) I already picked the Berlioz piece and b) we all need to lighten up already. Verdi's Shakespearean comedy (and last opera) ends with a gorgeous fugue on the words "All the world's a joke." Not a bad way to go out. If you're looking for an apocalyptic scenario, the prospect of being destroyed by a gigantic sea monster must appeal. Japan's genre of kaiju movies might have been inspired by this Mozart opera seria, where a Greek king runs afoul of the god Neptune and nearly gets stomped on by a giant, unspecified aquatic beast. Music's good too. I like James Levine's recording with the Metropolitan Opera forces and Placido Domingo as the king in deep water. Gustav Mahler added a soloist and a chorus to this five-movement opus, which starts with a funeral march and ends with the dead busting out of their graves. Not quite a zombie apocalypse. The second Bernstein recording featuring the New York Philharmonic is a classic. Part symphony and part song cycle, Shostakovich's penultimate symphony is a setting of 11 poems about death, written for two singers, a chamber orchestra and an unusual percussion section. Try Bernard Haitink's recording with the Royal Concertgebouw Orchestra. Just as the Rapture might send people running through the streets, Messiaen's music with its bird-songs and apocalyptic chords can send listeners running from the concert hall. "The Ascension", a 27-minute piece in four movements meditating on the resurrection of Jesus, is one of his more accomodating compositions. Also worthy: the Quartet For the End of Time, written in the chaos of World War II when the composer was held in the German Stalag-VIII-A prison camp. When Richard Strauss finally died, he commented that the experience was exactly as he had written it in this 22-minute tone poem, composed in his early period. (The title means Death and Transfiguration.) Herbert von Karajan's excellent recording with the Berlin Philharmonic is recommended as your guide to the world beyond. Neptune: the Mystic. We could have run another photo of Charles Dutoit, but what fun would that be? On Tuesday night, the Philadelphia Orchestra presented a pair of works by 20th century British composers William Walton and Gustav Holst (capped by the latter's The Planets) under the brisk leadership of Chief Conductor Charles Dutoit. The concert opened with Walton's lone Violin Concerto, with soloist Gil Shaham. Mr. Shaham displayed adept technique, whizzing through Walton's scales and arpeggios, although his instrument sounded dry and reedy against the lush sonic curtain of the orchestra. Written as a love letter to his paramour of many years, Walton's concerto contrasts Italianate lyric melodies with a jazzy sequence of changes, influenced by what was at the time a new type of music. This is a treacherous concerto (there is no slow movement) and Mr. Shaham's energetic performance was well suited to the composer's rapid-fire writing. The Philadelphia Orchestra charged up its hyper-drive engines and roared into The Planets, playing "Mars, the Bringer of War" with a savage, muscular drive. The brass section and the low strings dominate this movement, a thunderous protest of the stupidity of war that predates the music of both John Williams and Metallica. Thrilling low notes from the tuba and the steady chug of basses and cellos created the grinding wheel of the war machine and propelling it with a ferocious snarl. "Venus, the Bringer of Peace" was a far more lyric affair, with eloquent melodies for the English horn, oboe, and first violin against a romantic backdrop. Mr. Dutoit took "Mercury" at a light clip, with its sparkling celesta part and woodwind solos. The orchestra seemed to gather its breath for "Jupiter, the Bringer of Jollity", playing this famous movement with joy and a kind of savage glee. The contrasting second theme featured the Philadelphia trademark: a round, rich cello-led tone, finely burnished and capable of elevating the spirit to the heavenly spheres that inspired Holst's suite. The Last Planet: Neptune with its moon, Triton. Holst used the last three movements of his suite to visit the obscure outer planets: Saturn, Uranus and Neptune. Saturn, marked ("The Bringer of Old Age") is a grim, slow death march exploring the ear-tormenting interval of the second. It was played with funereal power. Uranus ("The Magician") allowed the brass and crack timpani players to sally forth, evoking a magic show of orchestral effects. The finale, "Neptune: the Mystic" is sad and remote as its namesake, an icy soundscape of strings and wind accompanied by a wordless offstage women's chorus. As the orchestra played its hushed, final notes, the mysterious chorus faded to silence. Verizon Hall erupted with cheers for this successful tour of the Solar System under the baton of Captain Dutoit. that they've found the score of his Eighth Symphony. Inspired by Daniel J. Wakin's excellent article in the New York Times on questionable orchestras and their planned tours of North America, Superconductor is pleased to announce its sponsorship of the first North American tour by the world-famous Olematon Akatemia Sinfoniaorkestri. The group will be touring under the direction of its current music director, Lupää Johtaja. Mr. Johtaja has worked with the 120-piece touring ensemble since 1999, and originally joined the orchestra as a second triangle player. The company's summer repertory includes Bruckner's Concerto for Two Wagner Tubas and String Orchestra, The Asteroids, a tone poem by Gustav Holst, Franz Liszt's Fourth Piano Concerto for the Left Pinkie and the Richard Strauss waltz Schlagobers. The orchestra will also be playing an abbreviated version of John Cage's 4'33" as its nightly encore. Based in the world-class Kusta Lumi Concert Hall, newly built on the outskirts of Kemijärvi, Finland, this ensemble is particularly revered for its performance of the recently discovered Eighth Symphony of Finnish national composer Jean Sibelius. The score, long thought destroyed, was found underneath a FinnBot pinball machine in a public house on the outskirts of Rovaniemi. A recording is forthcoming on Teldec Records. Founded on February 30, 1973, the Olematon Akatemia Sinfoniaorkestri is an internationally accredited ensemble, which spent most of the 1970s and '80s on goodwill tours of the eastern end of the former Soviet bloc. Their first music director was the much-loved Sonni "Paska" Valehtelija. In addition to his chamber arrangement of Arnold Schoenberg's cantata Gurre-Lieder, Mr. Valehtelija was known for conducting concert versions of rare operas, including Richard Wagner's Wieland der Schmied, Giuseppe Verdi's Re Lear and Leos Janacek's The Cunning Little Agent, a dark comedy which is the flip side to the composer's The Makropolous Case. Tour stops include Bodie, CA, Berlin, NV, Medicine Mound, TX, and Centralia, PA before returning to Europe to play a summer festival in Belchite, Spain. More information about this orchestra can be found at this site.